Using reusable shopping bags isn’t the only thing you can do to reduce your imprint on the environment. You can use all those single use plastic bags and paper grocery bags in unconventional ways to brighten up your holiday season. There are many different craft ideas that you can make using single use plastic bags, such as creating a holiday wreath or braiding a dog leash. Donating your single use plastic bags to your local thrift store to clear out space in your own home will save them money from having to purchase more bags. Churches may also welcome your plastic bags for charity sales. Paper grocery bags can be used as wrapping paper this time of year for an eco-friendly, cost effective alternative to purchasing store bought wrapping paper. You can also turn a regular paper grocery bag into a gift bag by cutting the bag in half, punching two holes about an inch the top and tieing ribbon for handles. 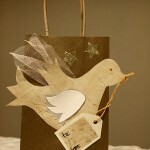 Paper bags can also be made into personalized greeting cards by adding your own favorite photograph to the front, and you can even make your own envelope to mail them off in using the same paper bag. 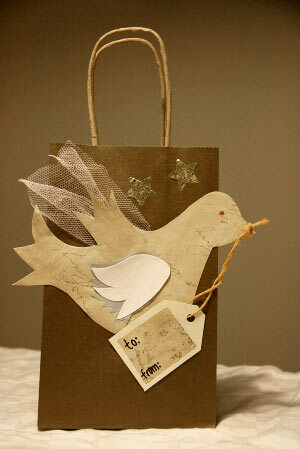 Use all those cute “boutique bags” as toilet roll holders in a bathroom, or in the kitchen as napkin holders. They also make festive holiday center pieces by adding a glass jar filled with fresh cut flowers inside. Giving the gift of a set of recycled shopping bags is a great way to encourage your family and friends to start going green. There are so many uses for the eco friendly bags that the recipient will think of you every time they use one.